Fulton and Bray heavy duty architectural barrel bolt. High quality solid brass architectural bolt. 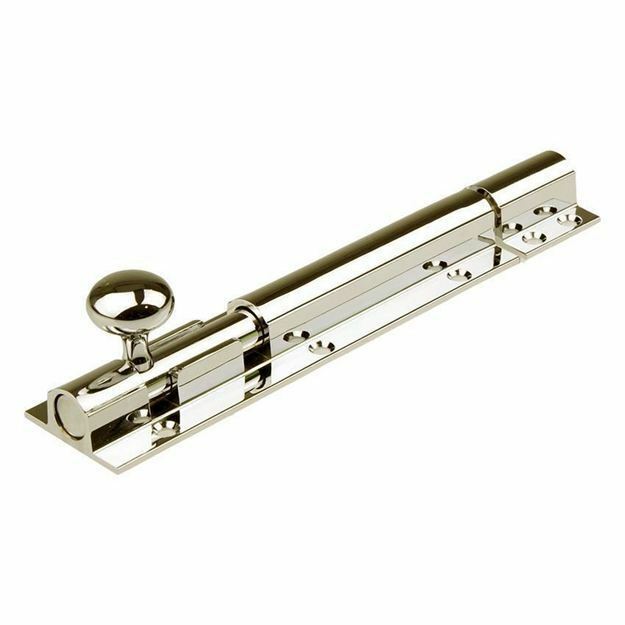 Supplied with a flat plate striker, angled striker for outward opening doors and a face fix keep (as pictured) with matching screws.